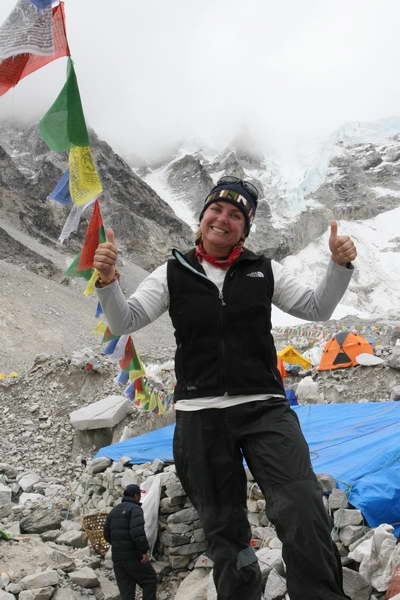 Julie Lilienkamp celebrates reaching an elevation of 18,500 ft. on Mount Everest. “At one point I was climbing a 200-foot tall ice shelf with only crampons and an ice axe. It was a free climb. I was the closest I’ve ever been with God in that moment. I had to put all of my trust in him,” said Lilienkamp. My trip to the top of the world changed my life forever. Once you get to the top of the world, Mount Everest, everything looks different. You’re in awe of how small every single thing looks, even your struggles, and you almost forget about what you’ve been through. Almost. Growing up in the Pacific Northwest made me a year-round outdoor enthusiast. In September 2000, my love for the outdoors was tested. I was 4-wheeling at 4th of July Pass, and I blew out the ACL in my right knee. I checked into urgent care and watched my knee swell so much that even a diagnosis would have to wait. Two weeks later, I tore my MCL [same knee] challenging my high school daughter’s friend in a one-on-one basketball game. As soon as I visited Dr. Adam Olscamp of Orthopedic Surgery and Sports Medicine in Coeur d’Alene, Idaho, he recommended surgery. Immediately. I’d heard Dr. Olscamp and his team were the best in the industry and I would soon discover how true this is. On surgery day the orthopedic team realized that I also had a vertical fracture in my femur, right above the knee. Recovery would be twice as long. I told Dr. Olscamp that I would recover to my original state. For that entire winter I found my physical therapy playground: Canfield Mountain. I admit how difficult those months were, but with Dr. Olscamp, physical therapy, hiking, and snowshoeing, I made a fast and whole recovery. Since that injury, I’ve become a certified Mountaineer and climbed Mount Everest, as well as the highest peaks in the Himalayan mountain range. 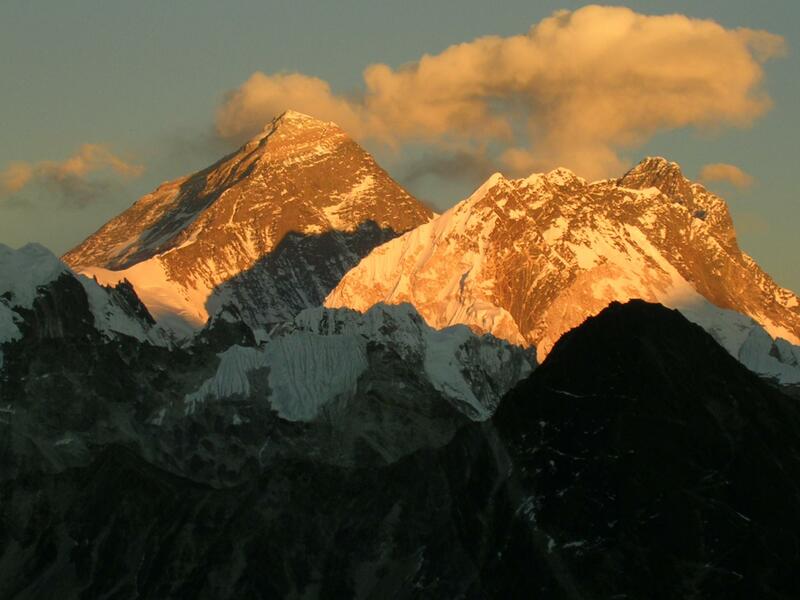 Mount Everest, the tallest mountain in the world at 29,029 feet. Throughout this journey I realized that I was never alone. There was always someone at my side. That’s when my climbing cohorts and I decided to raise money for Chyangba, an impoverished and third world village near Mt. Everest. We built those kids their very own school and library. Those kids will now receive an education. They will know there’s someone on their side and at their side. Thank you, Dr. Olscamp, for being one of those people to me. To read this story and others in print, refer to the “Coeur d’Alene Fit” publication in the Coeur d’Alene Press on Thursday, January 17. Julie Lilienkamp with the children of Chyangba, Nepal.